A new gun control bill introduced in the Oregon State Legislature added 45 pages of draconian amendments the night before the vote. SB978 passed the Judiciary Committee yesterday and now heads to the Oregon Senate. It’s a good thing that some parts of this state have vowed to be 2A sanctuaries because Oregonians are going to need them. If the gun owners – and even pepper spray owners – in other parts of the state hope to defend themselves, they could be facing a vast new array of felony charges. The battle for the right to bear arms is rapidly spreading across the country. In February,the House of Representatives passed two sweeping national bills. New Mexico has passed 6 outrageous new laws that sheriffs are refusing to enforce, and sheriffs in Washington state are also rebelling. On the other stand, two states have introduced invasive laws requiring would-be gun owners to hand over access to years of personal social media. What’s in the unconstitutional bill, you ask? They want to raise the minimum age to buy a gun to 21 in certain cases. Residents will be required to keep their guns locked up at all times that they are not being carried. These rules will render guns all but useless in the event a person needs to access them to protect themselves and their family. “(C) In a gun room. “(b) For purposes of paragraph (a) of this subsection, a firearm is not secured if a key, combination or other means of opening a lock or container is readily available to a person the owner or possessor has not authorized to carry or control the firearm. Failure to follow these rules is a Class C Felony. Also, don’t get excited about the phrase “gun room” because your bedroom doesn’t count. “(b) Conducting firearm-related activities, including but not limited to reloading ammunition, gunsmithing and firearm cleaning and maintenance. I know that the time I had to protect my daughter with a gun, if my firearm locked up, had on a trigger lock, and had to be loaded, it would have delayed my potential to do so to a horrific degree. If your gun/guns are stolen, you must report it. Failure to do so is a Class B felony per weapon. And if the thief hurts or kills someone with the stolen firearm, the owner is liable for two years. If you have kids, look out. Any adult who transfers a firearm to a minor is responsible for any actions taken by that minor with the firearm. And if you want to take your kids shooting or hunting, they must be “directly supervised.” And if a young person gets ahold of a parent’s gun, the parent is liable for the young person’s action. If the gun isn’t secured as per the rules above, then the adult is charged with even more crimes. “(b) Unlawful storage of a firearm is a Class A violation if the minor who obtains possession of the firearm intentionally, by word or conduct, attempts to place another person in fear of imminent serious physical injury. “(c) Unlawful storage of a firearm is a Class A misdemeanor if the minor who obtains possession of the firearm injures or kills a person by means of the firearm. Oregon wants to crack down on unregistered guns. The next section deals with “ghost guns.” Pages 11-19 offer a lengthy list of rules, restrictions, requirements, and record-keeping for the transfer of antique guns, gun parts, and much more. If you have them, you’ll be a felon upon the passage of this bill. And as everyone knows, registration is only one step away from confiscation. 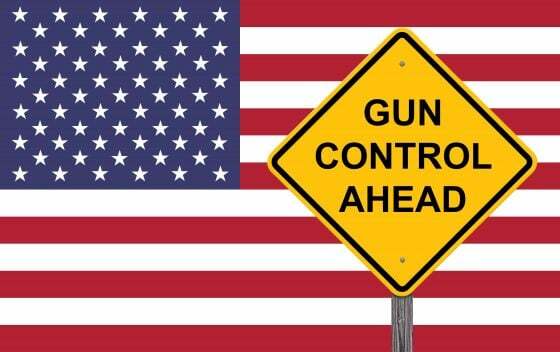 Here’s an article by Selco, explaining how gun confiscation could go down. The next section makes it more complicated to transport a gun. If this passes, gun owners who are not concealed-carry permit holders will have to jump through all sorts of hoops to transport a firearm in a vehicle, including locking it in a box in a “secure” are of the vehicle. Concealed carry permit fees will go up. The next section deals with CC permits and the related fees, increasing them in another effort to put an undue burden on law-abiding citizens. In this bill can find a massive list of restrictions regarding having a gun on the premises of or “near” public buildings. To me, this is the scariest part because it’s so incredibly arbitrary. And if you ignore the sign and get caught? You’re guilty of a Class C felony. Even if your gun is unloaded. Any person who intentionally possesses a loaded or unloaded firearm or any other instrument used as a dangerous weapon, while in or on a public building, shall upon conviction be guilty of a Class C felony. Go here to read the insanity in detail. But heaven forbid an Oregonian gets caught driving out of their 2A sanctuary county with a usable firearm.